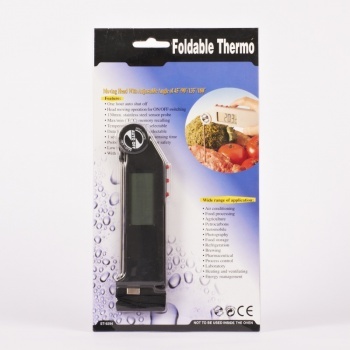 This Digital Folding Thermometer is ideal to monitor the temperature of such things like food. 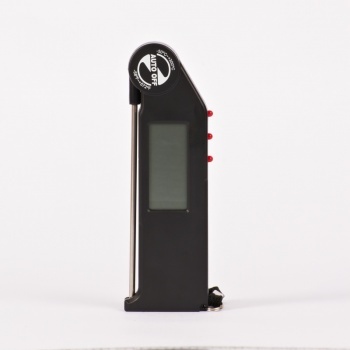 The digital folding thermometer keeps the probe protected when not in use. To ensure the thermometer probe is folded down the only way to switch off the thermometer is to fold down the probe and to turn on, simply unfold the probe. 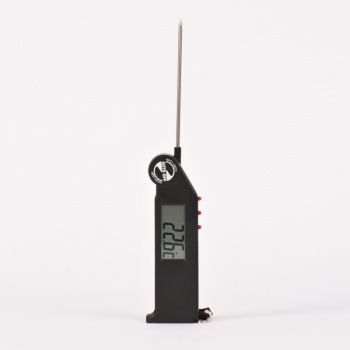 Like other hand held digital thermometers, this item is not fully waterproof; only the metal probe is waterproof and can be used for liquids.